It’s impossible to go through life without negotiating. Buying a car, buying a house, getting a new job, concluding a business deal, getting your friends to agree to on what movie to watch, getting a good table at your favourite restaurant, getting your kids off the iPad…all of these every day occurrences require you to negotiate with other people. And yet, if you google the phrase “How to negotiate” it shows 357,000,000 results. If you ask many professionals at junior, mid and even senior levels what aspect of their job they need to work on the most, they will often answer with “negotiation skills”. Dig more deeply and we find that when it comes to negotiating for themselves, women often find it harder, than negotiating for others, resulting in lost opportunities. While everyone has different styles of negotiation, there are certain elements that are key to a successful outcome in any discussion. And the good news, is that it’s entirely possible to LEARN how to be a better negotiator. No matter what stage you’re at in your career, you will learn from the wisdom of others in the room and walk away with valuable tips and techniques you can implement straight away. Leanne is a partner in the corporate and dispute resolution team, as well as the National Head of the dispute resolution team. She is experienced in dealing with complex disputes and leads a team of lawyers specialising in dispute resolution. She specialises in commercial dispute resolution with a particular emphasis on property and leasing based disputes, land contract disputes and general contract disputes. Leanne has experience in alternative dispute resolution, including expert determination, mediation and arbitration. In the property space, Leanne has acted for landowners, developers, builders, government authorities, owners corporations, local councils, and receivers and managers. Acting in partnership with the Australian Institute of Conveyancers, Leanne also provides strategic advice and represents its members (and their clients). In general commercial disputes, Leanne has acted for clients in the private and public sector, including developers, professional indemnity and general liability insurers, large and small corporate, local councils, contractors, liquidators, trustees and administrators. Leanne is a member of the International Women’s Insolvency & Restructuring Confederation (IWIRC). Nick has enjoyed a long and successful career at Colin Biggers & Paisley after joining the legal practice as a graduate in 1988. He is now Managing Partner and leads the practice which has more than doubled in the past five years to more than 68 partners and 470 staff. In his current role, Nick has stewardship of the strategic, cultural and financial wellbeing of the practice. He is also a Partner in the Construction and Engineering practice and has over 30 years’ experience acting for businesses and professionals involved in construction, infrastructure and resources industries. His expertise is in helping clients prevent or manage challenges on major projects and he has a successful practice in advisory work as well as litigation, international and domestic commercial arbitration. In 2015, Doyle’s Guide listed Nick as a recommended construction lawyer in NSW. Nick was also named in Doyle’s Guide 2016 and 2018 as a recommended construction and infrastructure lawyer in NSW. In the 2019 edition of The Best Lawyers in Australia, Nick is recognised as a leading Alternative Dispute Resolution and Construction and Infrastructure lawyer. technology, healthcare and financial services sectors. 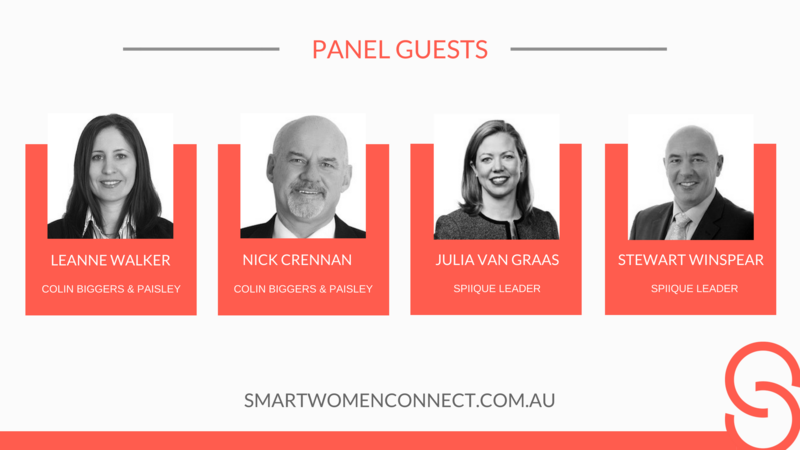 Julia is formerly a partner of EY, is a qualified Chartered Accountant (CAANZ), a graduate member of the Australian Institute of Company Directors (GAICD) and a Certified Organisational Coach (Level 1 – IECL). Stewart is an experienced hands-on CEO and CFO having assumed roles in both a permanent and interim capacities in turnaround situations during periods where high impact and sustainable change is required. His recent clients have included ASX-listed corporates, multinational companies and private equity where he has worked in aviation, building & construction, infrastructure, manufacturing, technology, financial services and health & fitness sectors. He has significant ASIA-PAC and international experience including Australia, New Zealand, Singapore, Hong Kong, China, Taiwan, Malaysia, Thailand, Indonesia, India, UK, Netherlands, France and Denmark. Stewart is formerly a partner of EY, is a qualified Chartered Accountant (CAANZ) and has a Graduate Diploma in Applied Finance and Investment (Securities Institute of Australia).